Continuing the amazing chronicle of the comic-book worlds greatest autobiographer, focusing on the aftermath of one mans experiences with cancer. In Flight to Chicago, Harvey and his wife Joyce experience frustration and exhaustion as a simple trip turns into an agonizing obstacle course. 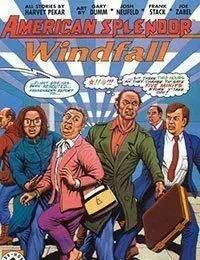 Windfall Gained tells the tale of tragedy turned to happy accident when Harveys impatience on a snow-covered street turns to gold. Finally, in Bloodletting, Harvey must face the difficult choice of surgery. This is an entertaining and informative look at one mans life, filled with all the drama and comedic pratfalls that weve come to expect from day-to-day existence.